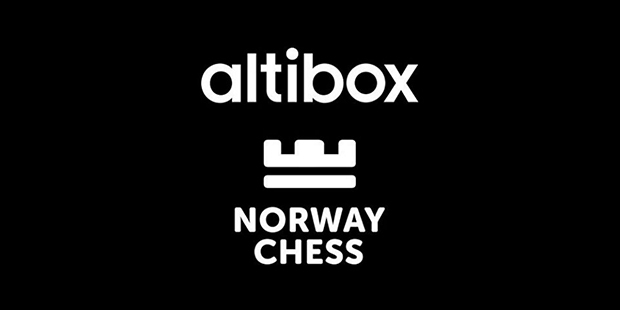 HomeNorway Chess 2018Norway Chess 2018 Round Six: So Beats Carlsen. Wesley So hands Magnus Carlsen his first loss of 2018. Norway Chess 2018, had been something of an eventful affair so far, but mostly away from the board. Shakhriyar Mamedyarov had been suffering from toothache and had to experience Norwegian dental care. And then, Ding Liren had injured himself while out on a bike ride and was forced to withdraw following surgery. I wonder if Magnus is at all superstitious. He may well be after this game as his words, above, came back to haunt him. The World Champion visited the tournament confessional after 16 moves and said that he was already ‘nervous’ about his position. This, another tidbit from Tarjei Svensen. And one can certainly see why. The position after 16…Nxa3 is shown above and although Black is a pawn up, White has a good position. The a3-knight is also badly placed and probably going to c4, which would mean that White will be able to reclaim his pawn. And this is what happened, and afterwards So’s pieces became increasingly active, while Carlsen’s struggled to find useful squares. He had the bishop pair, but neither one of them seemed to be very productive. The diagram, below, shows the dismal situation for Black following 27…Bf6. One had the distinct feeling that the World Champion’s score of 37 games without loss, may be stopping there. And indeed, things went from bad to worse for Magnus. Even though he was able to exchange his dark-squared bishop for So’s knight, this was to little consequence. So was left with huge initiative and used it to its full capacity. He played powerfully and Carlsen’s position soon collapsed. Carlsen was gracious in defeat, giving a lot of respect and credit to So, who played a great game. Magnus will now get an unscheduled day off due to having been drawn against Ding Liren in round seven. We wait to see if and how he can recover. The other games were drawn and the highlight of this was Nakamura vs Vachier-Lagrave. It was a closed Sicilian, which often results in more positional game than the tactical drama of the open variants. It was so in this case also, with hardly any contact between the armies other than the odd excursion here and there. I really enjoy these games, with the players setting out their stalls with patience, waiting for a slip from the other that will allow them to change the dynamic. It didn’t happen in this instance, instead, the structure became immobile and the players repeated. Anand-Mamedyarov saw a comfortable draw for both in a Ruy Lopez Fianchetto. Black did absolutely fine in this game and will have been the happier of the two from the opening I would think. Anand certainly did not seem very content afterwards and described it as a ‘poor’ game. Aronian-Caruana was a very quick draw indeed. They shook hands on move 28, but in fairness it was over way before that. At the end of this round, Magnus Carlsen, who had been looking quite comfortable at the top of the standings early on, now had Wesley So and Levon Aronian hot on his heels. There would now be a rest day and I am not quite sure whether this is good or bad timing for the World Champion. Coupled with the fact that he will not play in round seven due to having been paired against the withdrawn Ding Liren, I think probably bad. However, Magnus is hard (nigh impossible) to predict, so we will see in round eight. 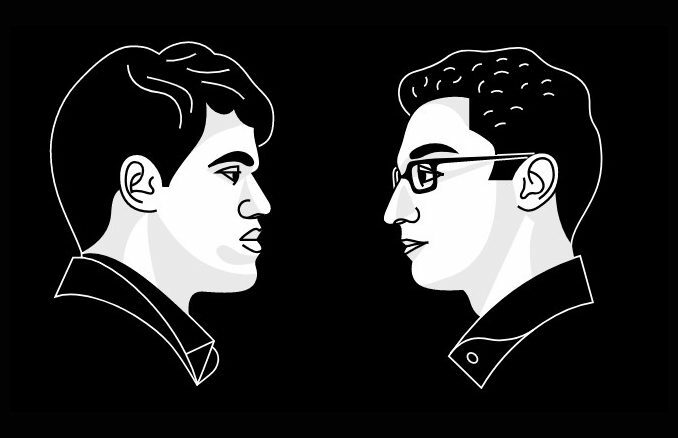 Aronian ½ vs ½ Caruana, Nakamura ½ vs ½ Vachier-Lagrave, Anand ½ vs ½ Mamedyarov, So 1 vs 0 Carlsen. 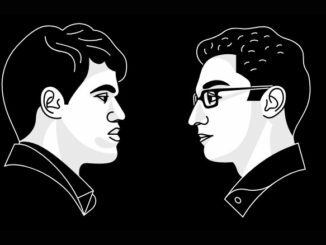 Mamedyarov vs So, Vachier-Lagrave vs Anand, Caruana vs Nakamura, Karjakin vs Aronian, (Carlsen free).